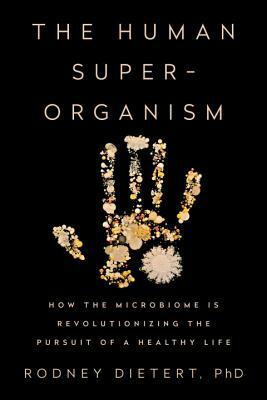 "Packed with new insights, The Human Superorganism sets out a fascinating perspective on the trillions of microbes that co-habitate with us, and delivers must-have information for how we can harness their power to prevent disease and flourish alongside them. Truly brilliant!" "In his startling and thought-provoking book, The Human Superorganism, Rodney Dietert shatters the conventional view of the human body by confronting the reality that most of the cells in our body are not our own. The book explains how an imbalance in the microbiotic ecosystem of our body has caused a sharp increase in allergies and other non-communicable diseases in modern life, and it offers practical advice for fortifying and cohabiting productively with our single-celled partners." "A must read if you are interested in disease, health and medicine. Dr. Dietert has the unique ability to describe a new paradigm that is an easy read and understood at all levels of training or education." —Gary R. Burleson, PhD, President and CEO of Burleson Research Technologies, Inc.
"Superscientist Dietert wants us to look at humans as superorganisms... How we can radically readjust public health protocols—and our own." "Rodney Dietert provides a clear and accessible introduction to the world of the human microbiome and its influence on human health. His use of anecdotes and examples complete the story, bringing the clinical evidence into the context of every day life."